For more information about Urban Strategies and Design at Heriot-Watt University, please visit the webpage using the button above. The postgraduate programme in Urban Strategies and Design is delivered jointly by the Edinburgh School of Architecture and Landscape Architecture (ESALA) of the University of Edinburgh and the Centre of Excellence in Sustainable Building Design at Heriot-Watt University. This new programme addresses the current need for interdisciplinary knowledge. It encourages the adoption of a comprehensive approach towards the delivery of socially-sustainable urban transformation, from local-specific to strategic metropolitan and regional interventions. Students study the wide and diverse range of social, economic, and political processes that determine the contemporary urban environment, and acquire the tools and skills to propose urban projects of diverse scales and specificities. The City of Edinburgh offers an urban laboratory for project- and site visit-based exploration of current urban design issues in the UK. Furthermore, the city's historic 'Geddesian' planning links, and contemporary international links with urban-focused institutions and bodies provide a strong platform from which to support student-led, location-based research projects. All applications for this programme are processed by the University of Edinburgh. Details on how to apply are available through ESALA. The Urban Strategies and Design programme can be studied full-time or part-time. The full-time mode consists of a 12-month programme, comprising two taught semesters, and a summer supervised dissertation period. The part-time mode comprises, four taught semesters, undertaken over 24 months, with a summer supervised dissertation period taking place after the fourth taught semester. The Royal Academy of Engineering Centre of Excellence in Sustainable Building Design has excellent industry links. Staff within the Institute are actively engaged in a variety of research projects relating to building design, specification, management and operation. First Class, or Second Class Upper Degree from Undergraduate Course of Study. We require with the application, a short, (two-page maximum) statement explaining what specific interests in the area of Urban Issues have lead you to apply for this programme. 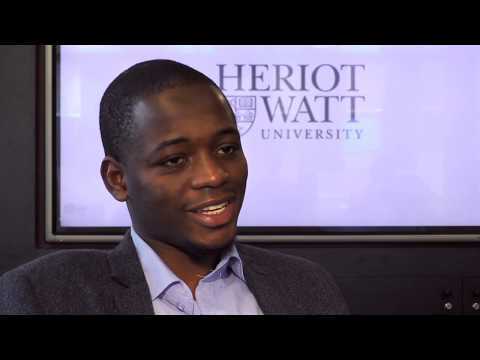 Get more information on entry requirements..
Heriot-Watt University is committed to providing opportunities to applicants who have a wide range of prior experiences through Recognition of Prior Learning (RPL). Prior learning at postgraduate level is normally recognised to gain exemption from individual courses within a programme based on an existing academic qualification. Note that the prior learning must have been rated at the level of the courses for which RPL is sought, yet credits from an award already held by an applicant can only contribute to a higher award in the same discipline, e.g. from PG Diploma to MSc. If you believe that you qualify for RPL, please contact the Learning & Teaching Support Team via egis-enquiries@hw.ac.uk, who will guide you through the RPL application procedure. If English is not the applicant's first language a minimum of IELTS 6.5 or equivalent is required with all elements passed at 6.0 or above. Applicants who have previously successfully completed programmes delivered in the medium of English language may be considered and will be required to provide documentary evidence of this. Examples would be secondary school education or undergraduate degree programme. A minimum of at least one year of full time study (or equivalent) in the medium of English language will be required.